The following is the entire list of Collegiate Baseball Freshmen All-Americans with statistics. RHP Patrick Fredrickson, Minnesota: Collegiate Baseball’s Freshman Pitcher of The Year. See beginning of story for his stats. LHP Samuel Strickland, Samford: Strickland was a first team Southern Conference selection and a member of the All-Freshmen team in the league. He posted an 8-2 record, 2.33 ERA and struck out 87 batters with 15 walks over 81 innings. RHP Bobby Miller, Louisville: A third team All-Atlantic Coast Conference pick and a member of the All-Freshmen team in the league, Miller was 6-1 with a 2.97 ERA as he struck out 55 batters with 21 walks over 66.6 innings. LHP Jordan Fowler, Mississippi: Fowler posted a 7-0 record, 3.18 ERA and struck out 32 batters with 16 walks over 39.6 innings. RHP Brendan Beck, Stanford: Beck was an Honorable Mention Pac-12 selection and posted an 8-0 record, 2.43 ERA as he struck out 38 batters with 12 walks over 66.6 innings. RHP Reid Johnston, N.C. State: A member of the All-Freshmen team in the Atlantic Coast Conference, Johnston had a 7-1 record, 3.06 ERA and struck out 49 batters with 15 walks over 64.6 innings. RHP Ma’Khail Hilliard, Louisiana St.: Hilliard posted a 9-5 record and 3.79 ERA as he struck out 70 batters with 31 walks over 76 innings. He is a member of the All-Freshmen team in the Southeastern Conference. RHP A.J. Labas, Louisiana St.: Labas had a 6-2 record, 3.48 ERA and struck out 32 batters with 7 walks over 54.3 innings as he started 10 games for the Tigers. RHP Luke Eldred, Dallas Baptist: A second team Missouri Valley Conference selection, Eldred posted a 7-3 record, 3.28 ERA and struck out 43 batters with 4 walks over 57.6 innings in 14 appearances. RHP Zach Pettway, UCLA: Pettway was an Honorable Mention All-Pac 12 Conference pick and posted an 8-4 record, 3.35 ERA and struck out 78 batters with 19 walks over 96.6 innings in 16 appearances. RHP Tanner Burns, Auburn: An SEC All-Freshmen pick, Burns had a 7-4 record, 3.12 ERA and struck out 74 batters with 33 walks over 80.6 innings in 16 starts. RHP Sean Hunley, Tennessee: Hunley was 7-3 with a 2.64 ERA and struck out 53 batters with 18 walks over 75 innings in 14 starts. RHP Dan Klepchick, Monmouth: A second team Metro Atlantic Conference pick and Rookie of The Year in the league, Klepchick was 5-1 with a 3.47 ERA, 78 strikeouts and 18 walks over 85.6 innings in 14 starts. LHP Ben Dragani, Michigan: A third team Big Ten selection and All-Freshmen in the league, Dragani was 6-2 with a 2.76 ERA, 54 strikeouts and 26 walks over 75 innings in 16 appearances. RHP Nikelle Galatas, Jackson St.: Named Freshman Of The Year in the Southwestern Athletic Conference, Galatas was 9-3 with a 4.52 ERA, 53 strikeouts, 38 walks over 88 1/3 innings in 18 appearances. RHP Billy Sullivan, Delaware: A third team pick in the Colonial Athletic Association as well as the Co-Rookie of The Year, Sullivan was 7-3 with a 2.97 ERA, 95 strikeouts and 42 walks over 72.6 innings in 14 starts. RHP Cooper Chandler, Pepperdine: Named Freshman of The Year in the West Coast Conference and a second team All-League pick, Chandler was 6-3 with a 3.99 ERA, 44 strikeouts and 28 walks over 70 innings in 16 appearances. 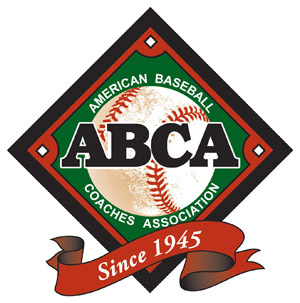 LHP Alec Burleson, East Carolina: Named Rookie of The Year in the American Athletic Conference, Burleson was 5-2 with a 3.33 ERA, 49 strikeouts and 16 walks over 54 innings in 19 appearances. RHP Liam Eddy, Wichita St.: Eddy posted a 7-4 record, 3.84 ERA and fanned 48 batters with 20 walks over 65.6 innings in 15 appearances. RHP Scott Randall, Sacramento St.: Randall posted a 7-3 record, 3.48 ERA and struck out 47 batters with 14 walks over 75 innings in 16 appearances. RHP Jake Jackson, Nevada: A second team Mountain West Conference pick, Jackson was 8-4 with a 5.42 ERA and struck out 77 batters with 22 walks over 90 1/3 innings in 16 appearances. LHP Nicholas Dombkowski, Hartford: Named Pitcher of The Year in the America East Conference, a first team All-League pick and a member of the All-Rookie team, Dombkowski was 6-5 with a 2.88 ERA, 71 strikeouts and 27 walks over 90.6 innings in 15 appearances. RHP Drey Jameson, Ball St.: Jameson was the Freshman of The Year in the Mid-American Conference, Freshman Pitcher of the league and a first team Mid-American pick. He posted a 7-2 record, 3.88 ERA and struck out 97 batters with 44 walks over 72 innings over 18 appearances. 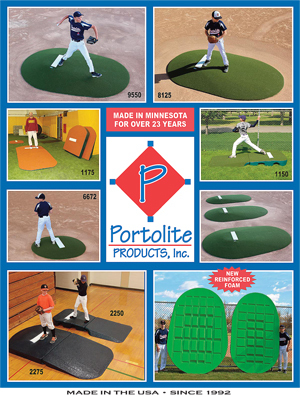 RHP Cole Percival, U.C. Riverside: Named Freshman Pitcher of The Year in the Big West and a second team All-League pick, Percival posted a 5-4 record, 3.19 ERA and struck out 63 batters with 27 walks over 87 1/3 innings in 14 starts. RHP Mason Hickman, Vanderbilt: Hickman recorded an 8-2 record, 5.25 ERA and struck out 65 batters with 26 walks over 70 1/3 innings in 15 appearances. RHP Tyler Mattison, Bryant: A second team Northeast Conference pick, Mattison was 5-2 with a 3.40 ERA, 53 strikeouts and 21 walks over 14 appearances. RHP Ty Buckner, Missouri St.: A second team Missouri Valley pick, Buckner was 7-4 with a 4.81 ERA, 60 strikeouts and 49 walks over 76.6 innings in 16 appearances. 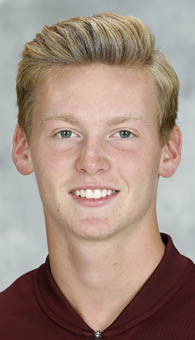 Max Meyer, Minnesota: Collegiate Baseball’s Freshman Relief Pitcher of The Year. See beginning of story for his stats. Chris Mauloni, Jacksonville: A second team Atlantic Sun pick and member of the All-Freshmen team, Mauloni posted 20 saves with a 2.53 ERA as he struck out 48 batters and walked 11 in 28 appearances over 32 innings. Connor Sechler, Missouri St.: A first team Missouri Valley selection, Sechler posted 8 saves with a 7-1 record, 2.98 ERA and fanned 59 batters with 22 walks over 54.3 innings in 32 appearances. Christian Edwards, Jacksonville St.: A member of the All-Freshmen team in the Ohio Valley, Edwards struck out 55 batters with 19 walks as he posted a 1.91 ERA, 3-1 record and 3 saves in 33 innings over 19 appearances. Daniel Federman, Miami (Fla.): Federman posted a 2.25 ERA as he struck out 54 batters with 22 walks over 23 appearances in 60 innings. Jacob Palisch, Stanford: Palisch was 4-1 with 4 saves and a 1.72 ERA, 36 strikeouts and 12 walks over 47 innings in 26 appearances. Kevin Abel, Oregon St.: Abel struck out 85 batters with 39 walks over 60.3 innings in 19 appearances as he posted a 4-1 record, 1 save and a 3.58 ERA. Cory Conway, Morehead St.: A member of the All-Freshmen team in the Ohio Valley Conference, Conway was 8-4 with 4 saves and a 3.57 ERA, 54 strikeouts and 19 walks over 52.3 innings in 35 appearances. Collin Romel, Kent St.: Romel posted a 1.45 ERA with 7 saves, 20 strikeouts and 8 walks over 18.6 innings in 13 appearances. Jordan Butler, Florida: Butler had a 6-1 record, 3.94 ERA, 53 strikeouts and 23 walks over 48 innings in 26 appearances. Cody Greenhill, Auburn: A member of the All-Freshmen team in the SEC, Greenhill was 5-2 with a 2.11 ERA, 54 strikeouts and 18 walks over 55.3 innings in 19 appearances. Andrew Abbott, Virginia: Abbott was chosen on the All-Freshmen team in the ACC and posted 6 saves with a 3.18 ERA, 78 strikeouts and 16 walks over 51 innings in 24 appearances. Augie Mihlbauer, Texas Christian: A member of the All-Freshmen Big 12 squad, Mihlbauer had a 1.59 ERA over 22.6 innings in 23 appearances and struck out 29 with 16 walks. Jared Leins, Navy: A second team Patriot League pick, he had a 5-2 record, 5 saves, 3.21 ERA, 52 strikeouts and 15 walks over 42 innings in 19 appearances. Jaime Arias, Fresno St.: Arias was 5-1 with a 3.69 ERA, 62 strikeouts and 12 walks over 68.3 innings in 23 appearances. Logan Bender, Campbell: A first team Big South selection and Freshman of The Year in the league, Bender was 5-2 with 3 saves, 3.42 ERA, 64 strikeouts and 31 walks over 29 appearances. Drew Zimmerman, Brigham Young: Zimmerman posted 5 saves and a 2.40 ERA, 40 strikeouts and 18 walks over 45 innings. Jonah Scolaro, Florida St.: Scolaro struck out 60 batters with 18 walks over 44.6 innings as he saved 6 games with a 3.43 ERA in 27 appearances. Holden Powell, UCLA: Powell posted 6 saves and had a 3.51 ERA as he struck out 22 batters with 8 walks over 33.3 innings in 29 games. Spencer Strider, Clemson: A member of the ACC All-Freshmen team, Strider was 5-2 with a 4.76 ERA, 70 strikeouts and 35 walks over 51 innings in 22 appearances. Levi Prater, Oklahoma: Prater was chosen for the All-Freshmen Big 12 team and posted a 3-3 record, 3.91 ERA, 64 strikeouts and 26 walks over 46 innings over 32 appearances. Dellan Raish, Arizona St.: Raish posted a 4-1 record, 3.00 ERA and struck out 47 batters with 11 walks over 42 innings. Kyle Brennan, Belmont: A member of the All-Freshmen team in the Ohio Valley, Brennan had 2 saves, 3-3 record, 2.83 ERA, 38 strikeouts and 17 walks over 47.6 innings in 28 appearances. Patrick Bailey, N.C. State: A second team ACC pick and Freshman of The Year in the league, Bailey hit .321 with 13 homers, 8 doubles and 40 RBI. Adam Kerner, San Diego: A second team West Coast pick and a member of the All-Rookie West Coast team, Kerner hit .338 with 15 doubles, 2 homers and 23 RBI. Isaac Quinones, Miami (Fla.): Quinones hit .291 with 10 doubles, 24 RBI and scored 20 runs in 165 at bats. Jose Garcia, Florida International: A member of the All-Freshmen Team in Conference USA, Garcia hit .264 with 13 homers, 8 doubles and 38 RBI. 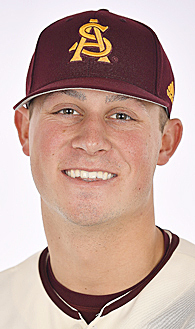 Spencer Torkelson, Arizona St.: Collegiate Baseball’s Co-Freshman National Player of The Year. See beginning of story for his stats. Tanner Allen, Mississippi St.: A member of the All-Freshmen team in the SEC, Allen hit 17 doubles, 5 triples, 5 homers and collected 42 RBI as he hit .303. Joey Loperfido, Duke: A member of the All-Freshmen team in the ACC, Loperfido hit .315 with 10 doubles, 6 homers, 39 RBI and stole 16 of 21 bases. Bobby Seymour, Wake Forest: Seymour hit .286 with 12 doubles, 7 homers and 32 RBI. Ethan Whitley, Tennessee Martin: A member of the All-Freshmen team in the Ohio Valley Conference, Whitley hit .267 with 10 doubles, 9 doubles and 32 RBI. Shane McGuire, San Diego: A second team West Coast pick and a member of the All-Freshmen team in the league, McGuire hit .287 with 8 doubles and 15 RBI in 174 at bats. Connor Mang, New Mexico: Mang hit .326 with 10 doubles, 3 triples, 2 homers and 27 RBI in 172 at bats with 35 runs scored. Julio Marcano, New Jersey Institute of Technology: A second team Atlantic Sun pick and a member of the All-Freshmen team in the league, Marcano hit .352 with 14 doubles, 2 homers, 19 RBI and swiped 7 of 7 bases. Jesse Franklin, Michigan: A member of the Big Ten All-Freshmen team, Franklin hit .327 with 11 doubles, 10 homers and 47 RBI in 165 at bats. Grant Wood, Murray St.: The Freshman of The Year in the Ohio Valley Conference, Wood hit .376 with 16 doubles, 5 homers and 46 RBI. Gabe Holt, Texas Tech. : Holt was a first team Big 12 selection and Freshman of The Year in the league as he hit .340 with 13 doubles, 3 triples, 5 homers, 37 RBI and swiped 28 of 28 bases. Coby Boulware, Texas Christian: Boulware is a member of the All-Freshmen team in the Big 12 as he hit .278 with 7 doubles, 17 RBI and swiped 24 of 28 bases. Trei Cruz, Rice: A member of the All-Freshmen team in Conference USA, Cruz hit .279 with 13 doubles, 2 triples, 6 homers and 45 RBI. Nick Gonzales, New Mexico St.: Gonzales was Freshman of The Year in the Western Athletic Conference and a first team selection as he hit .347 with 17 doubles, 2 triples, 9 homers and 36 RBI. Alsander Womack, Norfolk St.: Womack hit .314 with 13 doubles, 2 triples, 5 homers, 31 RBI and swiped 13 of 17 bases. Jake MacKenzie, Fordham: The Rookie of The Year in the Atlantic 10, MacKenzie swiped 34 of 42 bases as he hit .291 with 10 doubles, 6 triples, 8 homers and 42 RBI. Daniel Harris, Eastern Kentucky: A member of the All-Freshmen team in the Ohio Valley, Harris hit .268 with 13 doubles, 2 triples, 5 homers and 35 RBI. Eduardo Malinowski, Pennsylvania: Named Rookie of The Year in the Ivy League and a first team Ivy League pick, Malinowski hit .347 with 5 doubles, 1 triple, 2 homers and 20 RBI. Jimmy Glowenke, Dallas Baptist: Named Freshman of The Year in the Missouri Valley, a first team Missouri Valley pick and Defensive Player of the league, Glowenke hit .336 with 16 doubles, 10 homers and 50 RBI. He only committed 5 errors in 239 chances. R.J. Yeager, Mercer: The Freshman of The Year in the Southern Conference and a second team All-League pick, Yeager hit .324 with 12 doubles, 6 homers and 42 RBI. Freddy Zamora, Miami (Fla.): A member of the ACC All-Freshmen team, Zamora hit .303 with 12 doubles, 28 RBI and swiped 20 of 24 bases. Isaac Alexander, Jacksonville St.: An All-Freshmen pick in the Ohio Valley, Alexander hit .306 with 13 doubles, 2 triples, 5 homers and 48 RBI. Derek Lohr, Coppin St.: The Rookie of The Year in the Mid-Eastern Athletic Conference and a first team All-League pick, Lohr hit .362 with 9 doubles and 18 RBI as he scored 28 runs. 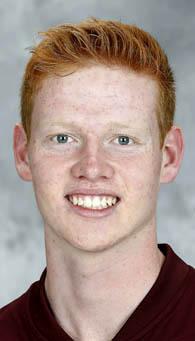 Tanner Murray, U.C. Davis: The Freshman Player of The Year in the Big West and a second team All-League pick, Murray hit .333 with 10 doubles, 22 RBI and scored 27 runs. Casey Martin, Arkansas: A second team SEC selection and member of the SEC All-Freshmen team, Martin hit .336 with 10 doubles, 13 homers and 44 RBI. Joshua Zamora, Nevada: The Freshman of The Year in the Mountain West and a first team All-League pick, Zamora hit .355 with 11 doubles, 9 homers and 33 RBI. Nathan Webb, U.C. Riverside: A second team Big West pick, Webb hit 17 doubles, 3 homers and drove in 13 runs last season in 177 at bats as he hit .232. Tyler Simon, Kennesaw St.: Simon was a second team Atlantic Sun pick and a member of the All-Freshmen team in the league as he hit .311 with 11 doubles, 3 homers and 26 RBI. Gage Workman, Arizona St.: Workman collected 10 doubles, 7 triples, 3 home runs and 25 RBI as he hit .276 in 174 at bats. Ernie Yake, Gonzaga: A second team West Coast Conference pick and a member of the All-Freshmen team in the league, Yake hit .322 with 15 doubles and 25 RBI. Tyler Keenan, Mississippi: Keenan hit .301 with 11 doubles, 9 homers, 38 RBI and scored 35 runs over 173 at bats. Anthony Giachin, Army: The Rookie of The Year in the Patriot League and a first team All-League selection, Giachin hit .289 with 9 doubles, 3 triples, 2 homers and 33 RBI. 3B Cole Frederick, Jacksonville St.: A member of the All-Freshmen team in the Ohio Valley, Frederick hit .255 with 9 homers, 4 doubles and 28 RBI. Ryan Ward, Bryant: Collegiate Baseball’s Co-Freshman National Player of The Year. See beginning of story for his stats. Jared Martin, Stephen F. Austin: Martin collected 18 doubles, 2 triples, 5 homers and 32 RBI as he hit .284. Heston Kjerstad, Arkansas: The Freshman of The Year in the SEC and a second team All-League selection, Kjerstad hit .344 with 14 doubles, 13 homers and 52 RBI. Colin Davis, Wofford: Davis hit .303 with 17 doubles, 4 triples, 13 homers, 45 RBI as he swiped 12 of 14 bases. He was a member of the Southern Conference All-Freshmen team. Pat DeMarco, Vanderbilt: DeMarco hit .271 with 11 doubles, 9 homers, 40 RBI and swiped 10 of 13 bases. Austin Martin, Vanderbilt: Martin is an extremely gifted athlete who can also play third base and shortstop as he hit .335 with 12 doubles, 18 RBI and swiped 21 of 29 bases. Rigsby Mosley, Troy: The Freshman of The Year in the Sun Belt and a second team All-League pick, Mosley hit .322 with 12 doubles, 5 triples, 5 homers and 51 RBI. Gabe Montenegro, Southern Mississippi: A member of the All-Freshmen team in Conference USA, Montenegro hit .295 with 11 doubles, 2 triples, 2 homers and 38 RBI. Tim Tawa, Stanford: A first team Pac-12 selection, Tawa hit .296 with 18 doubles, 3 triples, 7 homers and 41 RBI. 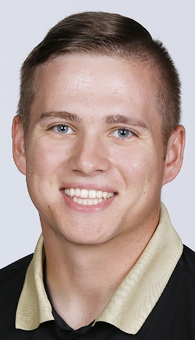 Ben Nisle, Purdue: A member of the All-Freshmen Big Ten team, he hit .304 with 12 doubles, 7 homers and 43 RBI. Parker Chavers, Coastal Carolina: A second team Sun Belt selection, Chavers hit .323 with 15 doubles, 7 homers and 42 RBI with 9 stolen bases in 14 attempts. Steven Williams, Auburn: Williams is a member of the All-Freshmen team in the SEC as he hit 10 doubles, 11 homers and collected 49 RBI as he hit .295. Justice Bigbie, Western Carolina: A member of the All-Freshmen team in the Southern Conference, Bigbie hit .324 with 14 doubles, 5 homers and 46 RBI. Chris Lanzilli, Wake Forest: Lanzilli hit .268 with 13 doubles, 9 homers and 33 RBI in 153 at bats over 48 games. D.J. Poteet, Wake Forest: Poteet hit .255 with 7 doubles, 9 homers and 28 RBI in 184 at bats over 56 games. Hogan Brown, Virginia Commonwealth: A second team Atlantic 10 Conference pick and a member of the All-Rookie team in the league, Brown hit .344 with 11 doubles and 21 RBI as he stole 7 of 8 bases. John Servello, Toledo: The Freshman of The Year in the Mid-American Conference, Servello hit .343 with 11 doubles, 3 triples, 2 homers and 29 RBI. Jordan Nwogu, Michigan: A second team Big Ten selection and a member of the All-Freshmen team in the league, Nwogu hit .349 with 8 doubles, 6 homers and 29 RBI. He also swiped 11 of 14 bases. Ridge Rogers, Incarnate Word: The Freshman of The Year in the Southland Conference, Rogers hit .346 with 9 doubles, 3 triples and 34 RBI as he stole 12 of 17 bases. Ben Anderson, Furman: A first team Southern Conference pick and a member of the All-Freshmen team, Anderson hit .361 with 11 doubles, 7 triples, 3 homers and 39 RBI. Adan Fernandez, Florida International: Fernandez belted 10 homers, 7 doubles and 26 RBI as he hit .262 on the season. Chris Galland, Boston College: A third team ACC pick and a member of the All-Freshmen team in the league, Galland hit .316 with 10 doubles, 2 triples, 18 RBI and swiped 28 of 31 bases. Allbry Major, Xavier: A second team Big East pick and Freshman of The Year in the league, Major hit .291 with 9 doubles, 2 homers and 21 RBI in 158 at bats. Le Bassett, Mercer: A member of the All-Freshmen team in the Southern Conference, Bassett hit .282 with 17 homers and 60 RBI. Daniel Cabrera, Louisiana St.: Cabrera earned All-Freshmen team honors in the SEC as he hit .315 with 18 doubles, 2 triples, 8 homers and 54 RBI. Griffin Doersching, Northern Kentucky: A first team Horizon League pick and Freshman of The Year in the league, Doersching hit 13 homers, 9 doubles and 49 RBI in 173 at bats. Philip Clarke, Vanderbilt: Clarke hit .307 with 16 doubles, 6 homers and 36 RBI. Zach Zubia, Texas: A first team Big 12 selection and member of the All-Freshmen team in the league, Zubia hit .286 with 13 doubles, 11 homers and 43 RBI. Brooks Carlson, Samford: A second team Southern Conference pick and member of the All-Freshmen team in the league, Carlson hit .343 with 16 doubles, 10 homers and 47 RBI. Dom Toso, Bucknell: A second team Patriot League selection, Toso hit .284 with 15 doubles, 4 triples and 21 RBI. Christian Fedko, Connecticut: The Rookie Player of The Year in the American Athletic Conference, Fedko hit .255 with 15 doubles and 33 RBI. Casey Schmitt, San Diego St.: Schmitt is a remarkable 2-way player for the Aztecs. As a righthanded pitcher, he posted a 0.28 ERA with 9 saves in 21 appearances over 32 innings as he struck out 24 batters and walked 8. As a batter, he hit .264 with 12 doubles and 32 RBI in 182 at bats. Logan Allen, Florida International: A second team Conference USA selection and member of the All-Freshmen team in the league, the southpaw struck out 85 batters with 16 walks over 74 innings in 13 appearances as he posted a 5-5 record and 3.89 ERA. As a batter, he hit .309 with 5 doubles, 2 homers and 16 RBI. 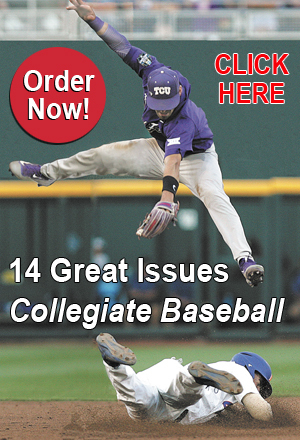 To obtain the June 15, 2018 edition of Collegiate Baseball which features the 2018 Freshmen All-American team and the regular NCAA Div. 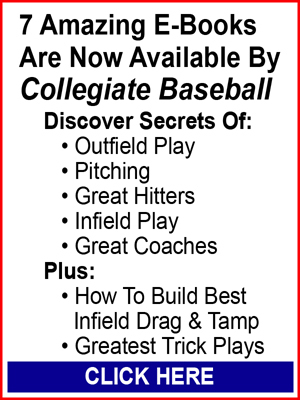 I All-American squad, plus all of our college championship coverage and special features, purchase this issue by CLICKING HERE.